Munich offers a great variety of outdoor swimming pools, lakes as well as a great river. 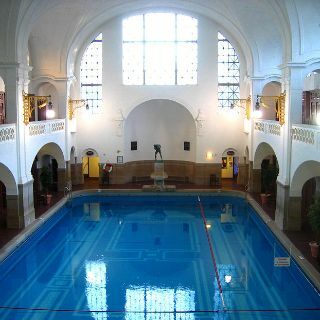 In winter, water enthusiasts can discover the wide range of public indoor pools, from the magnificent art nouveau design of the Müllersche Volksbad to the sports-focused 50-meter pool of the Olympia-Schwimmhalle (Olympic swimming pool). If you are interested in the public outdoor pools you will find all information here. 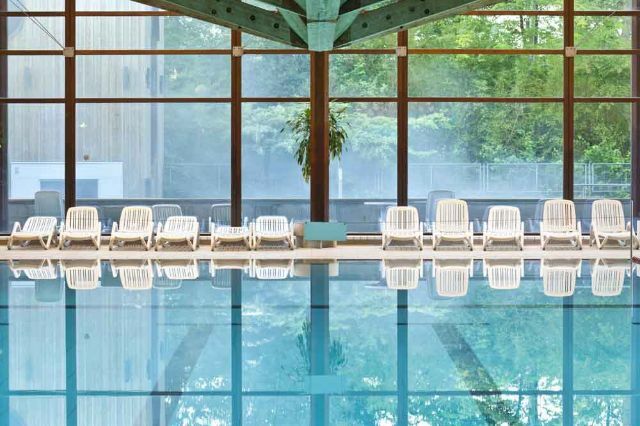 Located in the west of Munich the Westbad offers an indoor as well as an outdoor public swimming pool. The indoor bath welcomes visitors with a family and leisure pool under a big glass dome. 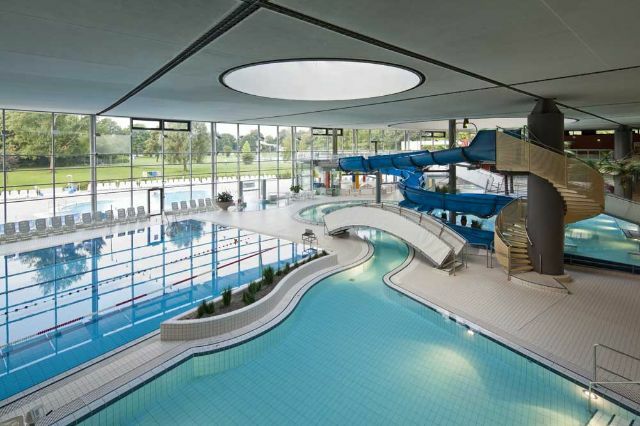 The pool has two whirlpools, a water-current canal, a 60-meter waterslide, a paddling pool and a connection to the outdoor pool filled with Bad Reichenhall salt water. Whirlpool seats and massage jets offer fun for any age. Sportive swimmers will favor the 25-meter sports pool. After swimming, the steam room and the open-plan sauna area with its Finnish sauna, sanarium and steam bath as well as the open-air cool-down area with a plunge pool (included in the admission price) will guarantee recreation. More info about Westbad. 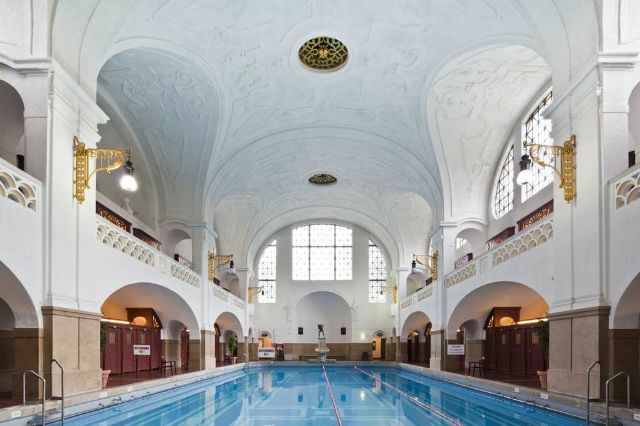 In the North of Munich-Maxvorstadt a public indoor swimming bath in classic monumental and modern architecture attracts swimmers with a 33-meter sports swimming pool with grand stands. 1- and 3-meter diving boards not only attract kids. Relaxed drifting in the big outdoor pool after a sudorific sauna- or steam room session is another option in the classy public swimming pool. The outdoor pool is even open in winter. And why not have a massage? Children and less experienced swimmers will enjoy the non-swimmers' pool, toddlers the paddling pool. 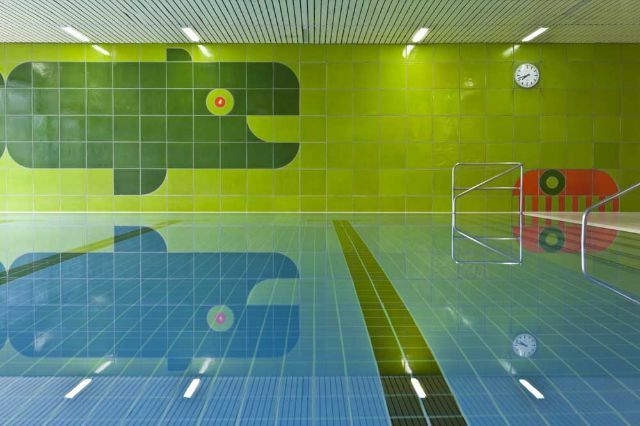 The integrated M-Fitnesscenter, fitness classes and the Nordbad cafe with areas for visitors and swimming bath guests complete the services of the Nordbad. More info about Nordbad. 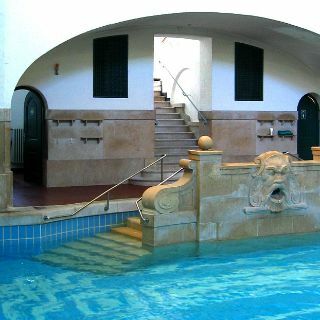 The Dantebad is your choice for recreation in Munich Neuhausen-Nymphenburg. It's the only public outdoor swimming pool that is open throughout the year. That's why it's also listed as an indoor bath. What makes it so pleasant to swim outside in winter is the hot water (30°C). The 50-meter swimming pool is optimal for athletes. The wellness pool with its 34°C hot water, the sauna area, the underwater massage and the rapid current are ideal for some hours of relaxation. More info about Dantebad. Are you into swimming competitions? If so, you might remember the Olympic swimming pool, where the swimming competitions of the 1972 Summer Olympics took place. 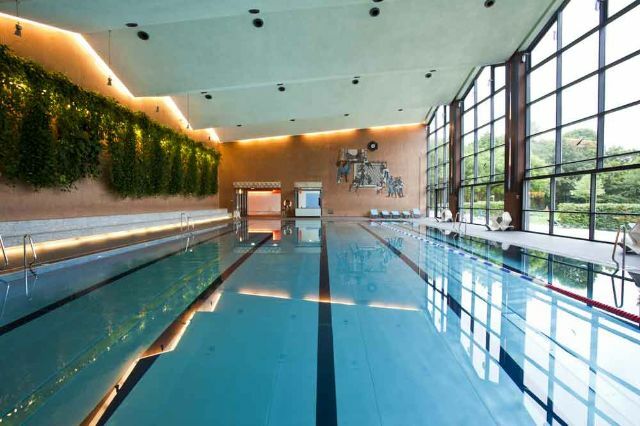 Let's start with the 50-meter sports pool, where three lanes are always reserved for competitive swimmers. Then we have the diving tower with diving boards and platforms from 1 to 10 meters, also frequently used by ambitious athletes. 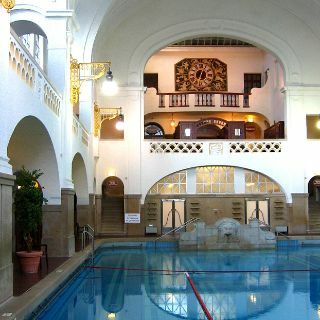 The Olympia-Schwimmhalle M-Fitnesscenter (gym), the fitness classes taking place in the bath, massages, a training pool and other facilities attract professional as well as amateur athletes. After an exhausting training session, you might enjoy the sauna paradise with sauna, sanarium, steam bath and whirlpool. 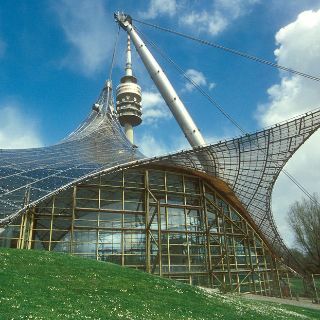 The Olympic swimming pool is located between Schwabing-West and Moosach and is part of the Olympiapark München. More info about Olympia-Schwimmhalle. 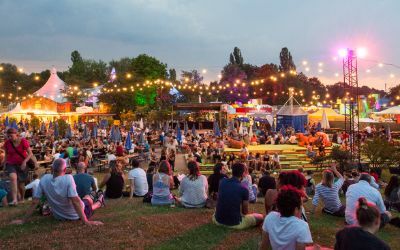 East of the Ostbahnhof (East Station) in the Ostpark (city park), next to the outdoor public swimming bath you find the Michaelibad. The concept of the indoor swimming pool is perfect for an athletic audience, families and for anyone who enjoys wellness. There are two whirlpools, a 45°C steam bath next to the 25-meter sports pool and an 84-meter waterslide for older children and adults. In the non-swimmers pool you can learn how to swim, dabble or attend fitness classes. There is also a parent and child area with a water play area for the youngest water admirers. For a little extra money, you can relax in the two-tiered sauna area, with an extraordinary earth-loft sauna, a natural Finnish pinewood sauna, a sanarium with colored lights, a steam bath with steam shower and a view of the night sky. Relaxing massages are offered in both sections. More info about Michaelibad. 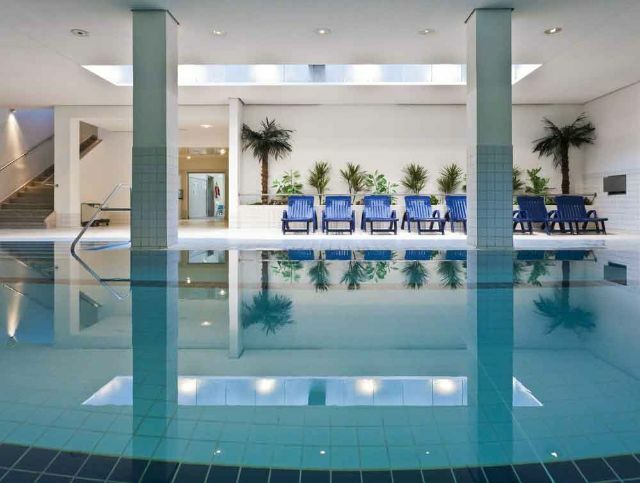 Indoor swimming and outdoor wellness are the key characteristics of the Südbad. Situated in Sendling in the southern area of Munich, the indoor swimming pool offers a great view of the surrounding greenery. The retractable doors in the glass façade open the swimming pool to a newly designed outside terrace and to an extensive lawn area for sunbathing. The pool was constructed in the 1950s. In 2012, the swimming bath was completely renovated, maintaining its fifties style. The outdoor wellness pool in front of the ceiling-high glass façade has a flowing water torrent, Jacuzzi seats, a hot tub as well as massage and neck jets. Very special is the Südbad’s video wall. From 7:00 p.m. a piece of artwork ("Seestück") with a theme relating to the sea, oceans, coastlines, ships or ports is shown. The Munich sculptor's work focuses on contemplation. More info about Südbad. Artificial waves attract guests at the Cosimabad - Munich's first and only swimming pool with a wave machine. The waves are turned on every 30 minutes. Between the wave-machine sessions, swimmers take possession of the 33-meter pool. The open air pool with a heated whirlpool and massage jets offers outdoor recreation. It allows you to swim openly beneath the sky, even if snow takes over the Bavarian capital. Younger visitors favor the children's paddling pool with several water toys and other water attractions. Sauna fans, on the other hand, enjoy the 900 m² sauna area. In the blockhouse sauna the temperature is like in a Finnish sauna, while the atmosphere resembles that of a mine shaft. Other attractions are the steam bath and the sanarium with crystals and color changing light. Finish off your day in the bath at the open-air terrace with the combined Kneipp and plunge pool for cooling off and on the loungers for relaxation. More info about Cosima Wellenbad. prices, gallery, dates and news. 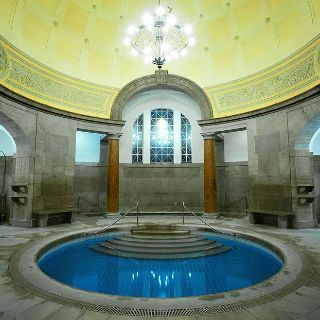 Engineer Karl Müller donated the financial resources for building the Müllersche Volksbad on one condition: that the city builds a bath for the poor. In 1901, the swimming bath opened its doors. 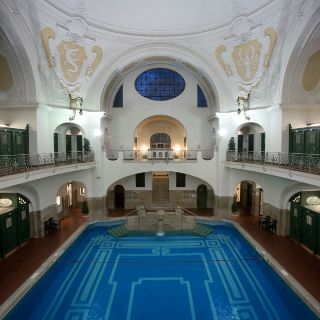 The bathing temple with its art nouveau design has many interesting things to offer and is one of the main attractions when it comes to swimming and bathing in Munich. 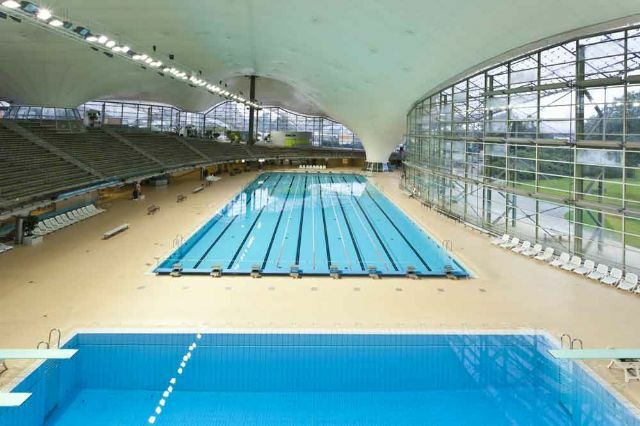 In the past, one 31-meter swimming pool and one 18-meter swimming pool divided male from female swimmers. The roman steam bath with the open-air courtyard is a must visit. There is also a Finnish sauna with color changing lights. At hourly intervals, water is poured onto the hot rocks. The baths in the Müllersche Volksbad were built at a time, when having your own bathroom was pure luxury. 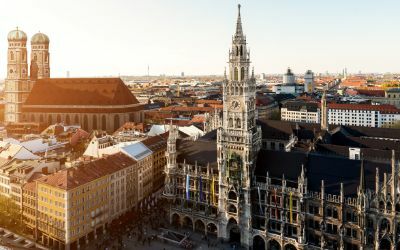 The city of Munich maintained the character of the bath as part of the city’s history. More info about Müllersches Volksbad. Functionality and purist ambience were two goals, when the Bad Giesing-Harlaching was redeveloped in 2012. The public indoor swimming pool offers a 25-meter sports pool, a non-swimmers' pool, exercise pools, a parent and child area and a lawn area for sunbathing with paddling pool (accessible only in summer). Bad Giesing-Harlaching offers several swimming and fitness courses for all age groups and all levels of fitness. More info about Bad Giesing-Harlaching. The large sports pool is the first attraction of Bad Forstenrieder Park. 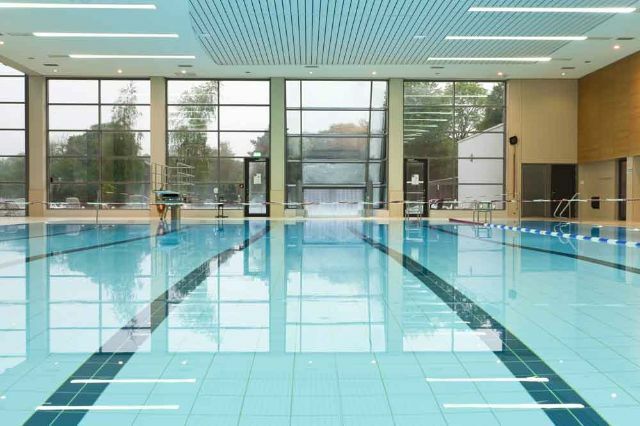 The public indoor swimming pool is ideal for club swimmers and diving clubs. Aqua-aerobics and water gymnastics courses are held in a separate pool. Families enjoy the mother and child area, and the indoor and outdoor paddling pools for babies, toddlers and children. In summer the lawn area with its own naturist zone is the ideal place for sunbathing. In winter the sauna facilities offer a sanarium, a steam bath with color changing lights, a cool-off area with plunge pools as well as a range of cold showers and foot spa. An outdoor Finnish sauna overlooks the gardens. 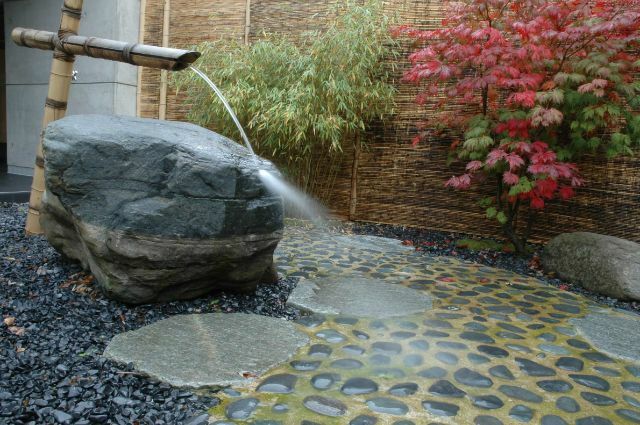 The cold outdoor pool and Kneipp area for cooling off plus the Asian wellness garden with flowing water torrents, pathways, relaxation spots and stone monoliths can also be used both in summer and winter. More info about Bad Forstenrieder Park.